It is just too easy to write off all silicones as bad without delving into what they consist of and learning their differences, strengths, weaknesses, and composition. 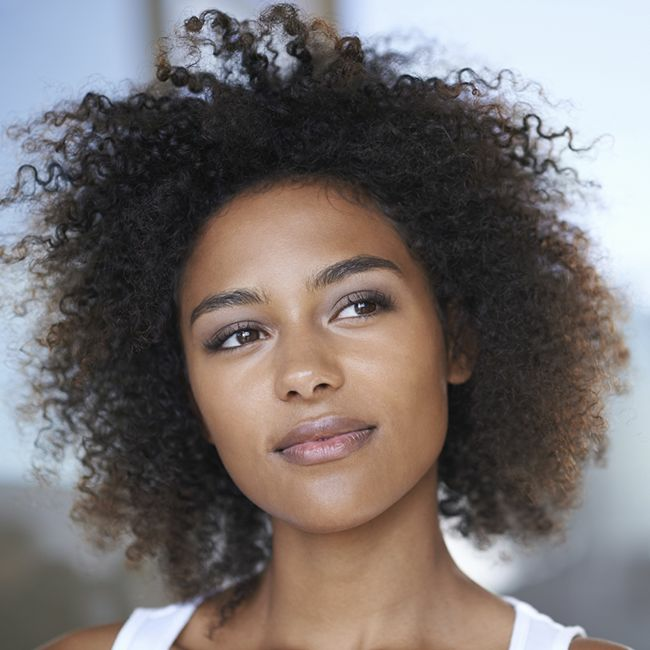 There are a lot of ingredients that allow for more manageable hair but may not necessarily be great for our curls. While we crave and desire moisture and detangling properties in products, we must make sure our hair will not suffer in the process. It is a fine line to walk when it comes to being a curly girl and having healthy hair. The main objective of a silicone for hair care products is to seal and protect the hair. They create a barrier around the hair strand that keeps moisture in and the elements out. This barrier is soft and has slip, making silicones great detanglers and a heat protectant. The barrier helps hair from being damaged by heat styling tools like curling irons, wands, and flat irons, but just like silicones are great for hair, they also have a downside. Several kinds of silicones (non-water soluble) create buildup on the hair strands and scalp when not washed regularly. Why do curly girls avoid silicones? The only way to remove silicones is by using shampoos with sulfates or clarifying shampoos, and many curly girls steer clear of those types of cleansers as they can be harsh on our fragile and moisture-deprived strands, especially when used too often. Using a water-soluble silicone is best for curly strands because water-soluble silicones can be removed just with water or cleansing conditioners but harsher ingredients are needed for the water insoluble silicones. Dimethiconol however is water insoluble. Dimethiconol is a hydroxylated synthetic silicone oil that resembles dimethicone and provides a non-greasy lubricant that adds shine and softness. It is an anti-foaming agent that has the unique fluidity composition of spreading easily and creating a mild protective barrier to the individual hair strands and skin, helping to fill in fine lines and wrinkles on the face and giving it a temporarily plump look. when coming hair wet. The differences lie in their performance in other instances occurs, because dimethiconol has an increased molecular weight and has a different end group with hydroxyl (-OH) groups and most of those groups contain alcohols. Despite those differences they are very similar. This is an excellent skin and hair conditioning silicone that works as a non-greasy emollient. Great for detangling strands with its subtle gloss and softness that helps reduce friction. It is often used instead of standard silicones because of its less greasy feel despite being a heavier silicone and used in conjunction with lighter silicones that help deliver ingredients to the hair like cyclopentasiloxane. Dimethiconol is also great in reducing the effects of the weather elements that cause frizz. Dimethiconol is a non-water-soluble silicone that can buildup easily if not removed regularly clarifying shampoos or cleansers formulated with sulfates. If you apply products regularly and do not shampoo often, then using products with this silicone may not be ideal for you. Using products with dimethiconol sparingly would be a great idea, but do not overload on them and to remember how to successfully remove them regularly. I will use a product with dimethiconol when I want that extra shine, softness, and smoothness, but I know I can use it once, maybe twice, and will wash with shampoo afterwards. Here are some popular products that use dimethiconol.